-Engine assembly prices start at $375, engines with high lift and large duration camshafts with greater compression ratios will start at $500. -Cylinder head re-surfacing is $65pr. -Crank balancing starts at $250, with no heavy metal. Legend Racing can build you a completely custom motor. Wether you want to have a race only motor, a little more muscle in your Trans Am or want your show car to shine, LRE can make it possible. 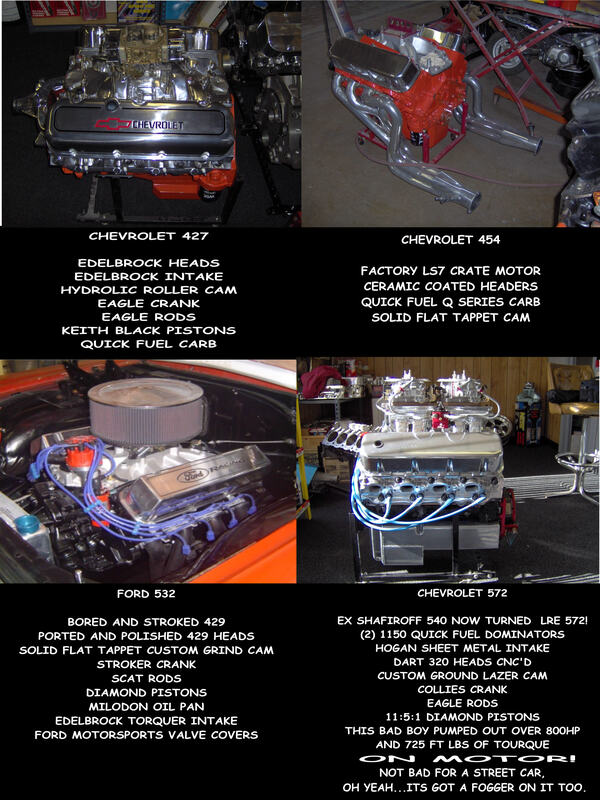 Looking for a fully polished and chromed custom motor? Or mabey a powder coated chevy orange block for your numbers matching Camaro? With the best people in the industry and top names in powder coating your dreams are just a phone call away.